Engrave an entire sheet of UID labels at one time with a laser. Engrave your marks directly on the part as well. 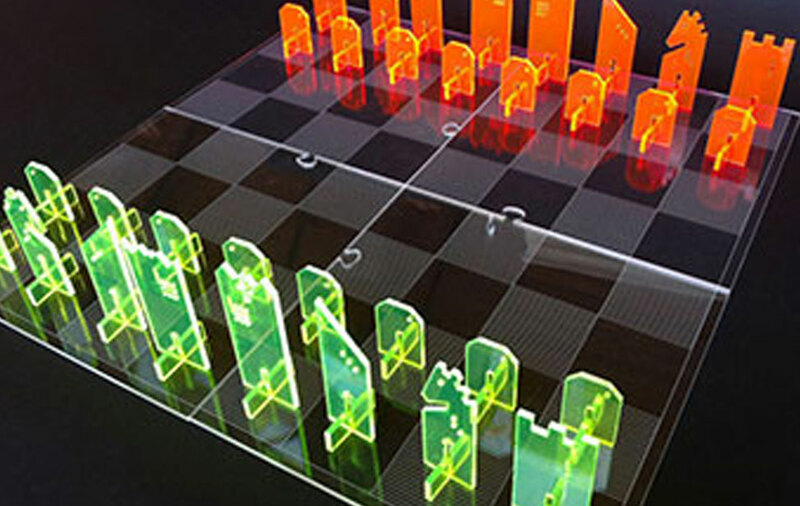 Place your piece in the laser and start engraving. 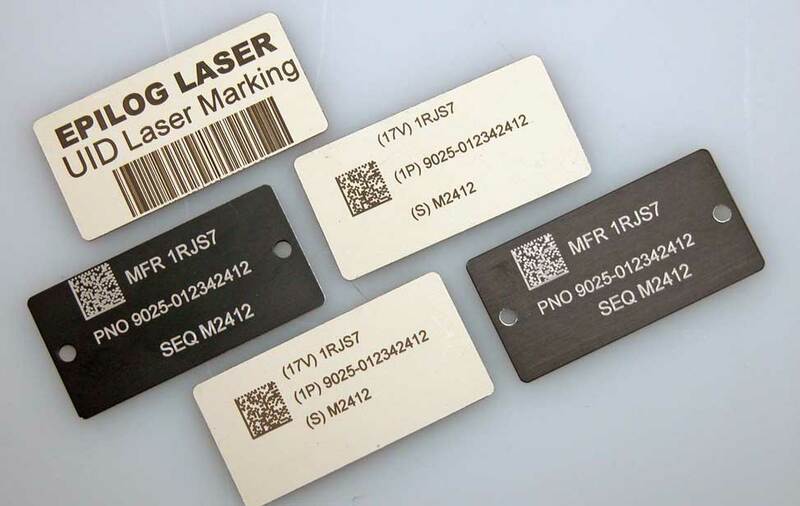 Engrave all types of barcodes, serial numbers and logos with the laser. Unique Identification (UID) is a Department of Defense (DoD) designed program for identification, traceability and accountability of government property purchases. Incorporating bar codes, data matrix codes and human readable text, the unique identification mark allows for lifecycle tracking of UID required items. 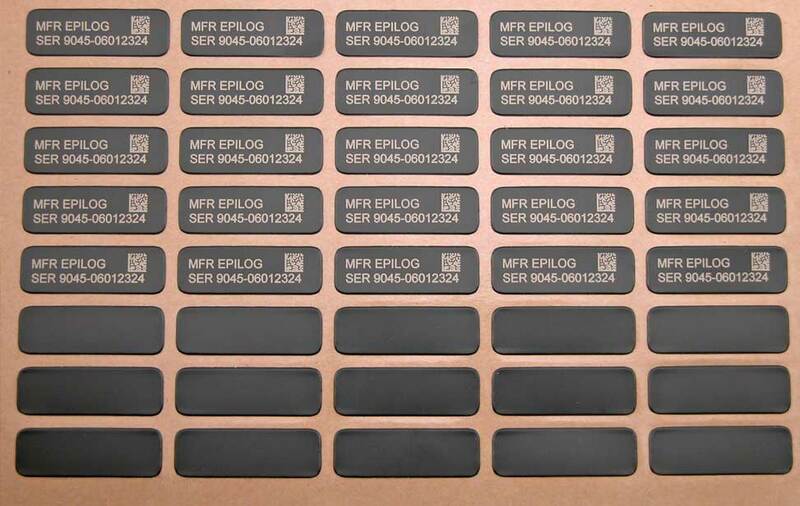 Whether applied directly to an individual part or to a non-removable tag affixed to the item, Epilog laser systems provide an inexpensive solution for UID marking requirements. 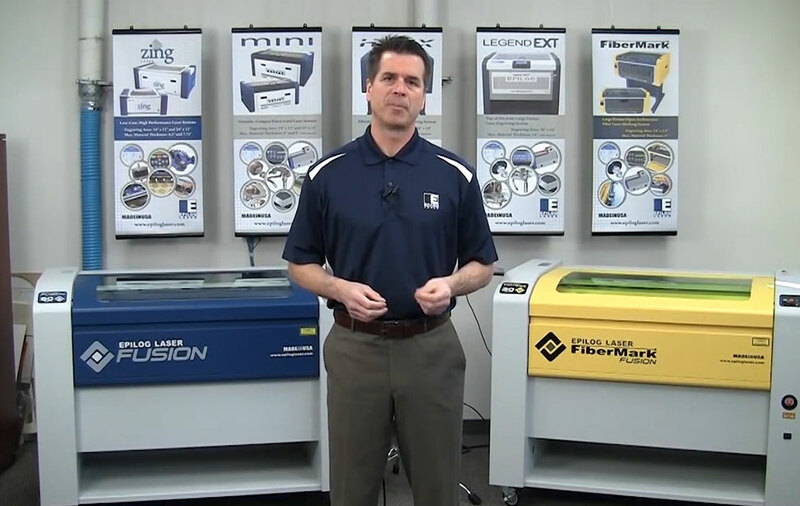 Is the FiberMark laser right for your application? You want to engrave UID labels with a laser. UID Labels are permanently marked labels that can be used to meet all traceability requirements of the DOD. For UID labeling, place an entire sheet of labels in the laser and etch the information onto the label to be placed on your large equipment. 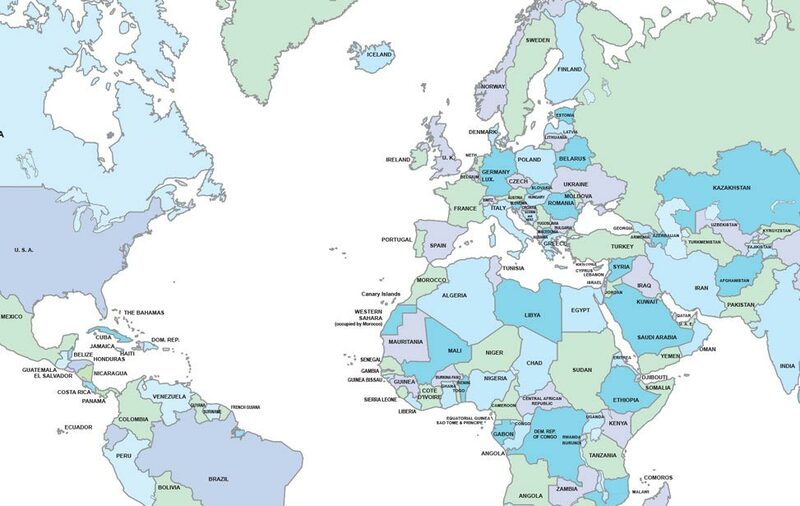 You need an easy way to meet UID requirements. Did you know that marking parts and labels with UID required traceability information can be as easy as plugging in a laser to your computer through an Ethernet connection, then printing your labels and barcodes to the laser? 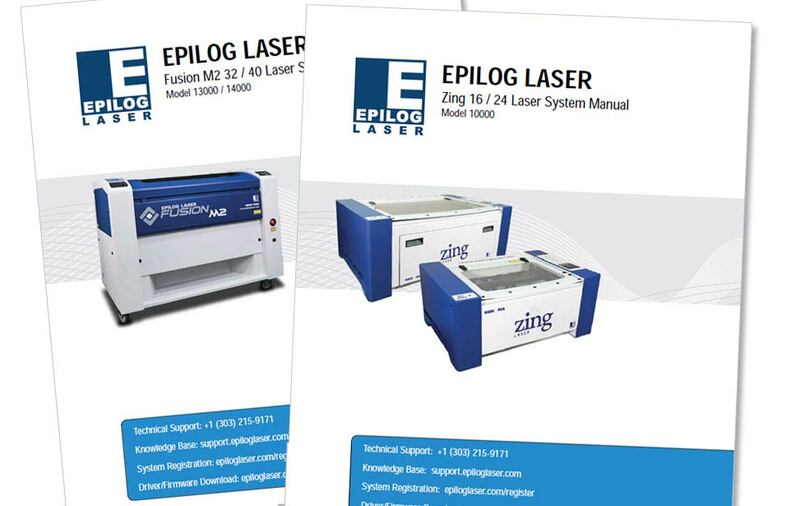 We've designed our entire line of Fiber and CO2 lasers to be safe and easy to operate. You want laser UID equipment that can engrave directly onto your metal parts. Our laser systems can etch directly onto your metal parts up to 36" x 24" x 12" in size. You want to be able to do plastic UID marking. Etch your plastic parts with UID information by place them directly into the laser and "printing" the information on the part. You want to bring your expensive outsourcing of tool marking inhouse. Cut your expenses by bringing expensive plastic marking inhouse. By adding a FiberMark Laser to your show, you can cut costs, and you'll constantly find new projects for the laser that can add value to the products you sell. 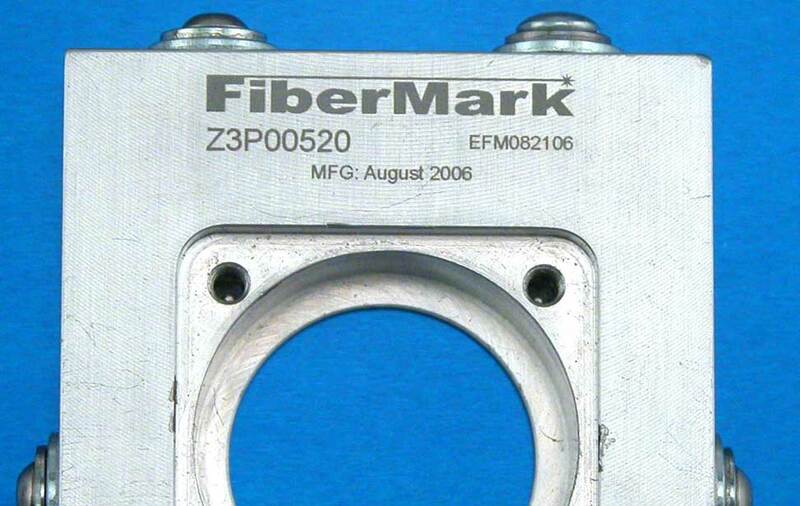 There is no need to learn new software when using the FiberMark as your UID equipment. The software you are using to create your barcodes right now will probably run the laser. 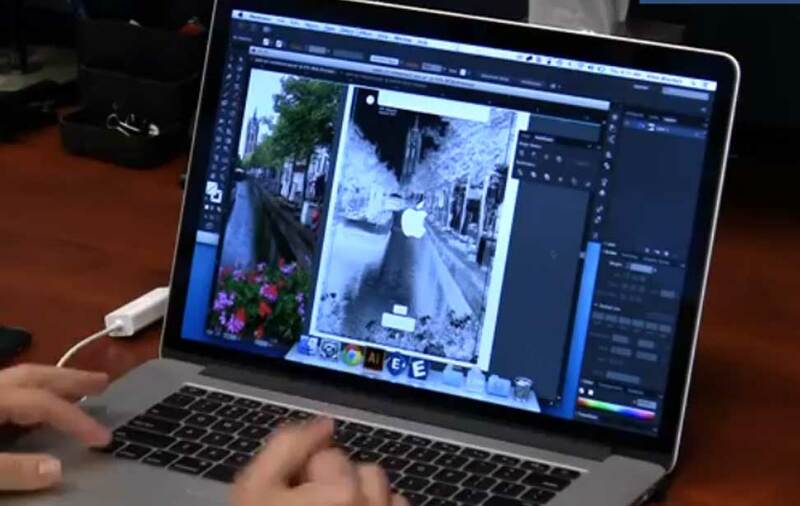 You don't need to spend expensive time training and retraining employees on specialty software. Your parts to barcode are large (up to 36" x 24" x 12"). 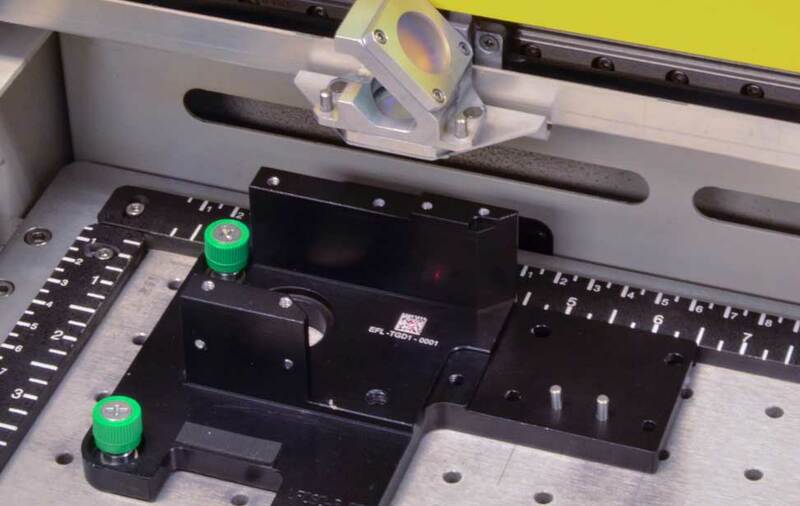 By directing the laser beam through a series of mirrors, Epilog's laser UID marking equipment has been designed to engrave a large work area of 36" x 24" on the Legend 36EXT. The flying-optic design is a state-of-the-art X/Y mechanical design borne from Epilog's years of manufacturing experience in CO2 laser marking and cutting systems. Create a jig to place your parts and engrave hundreds of pieces at one time. The EZLoad Access door allows you to easily place your jig of parts either through the top window door or through the hinged, front-loading door of the laser system. Both of these safety-interlocked doors provide fast and efficient parts placement and removal. Can I do other things with the laser? Yes! 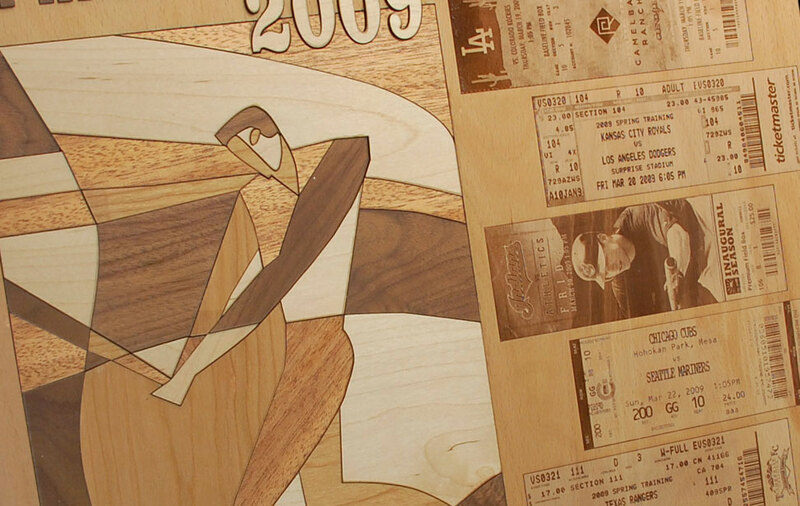 From woodworking to signage to promotional item etching, you can create all types of different products to add even more profits to your business. 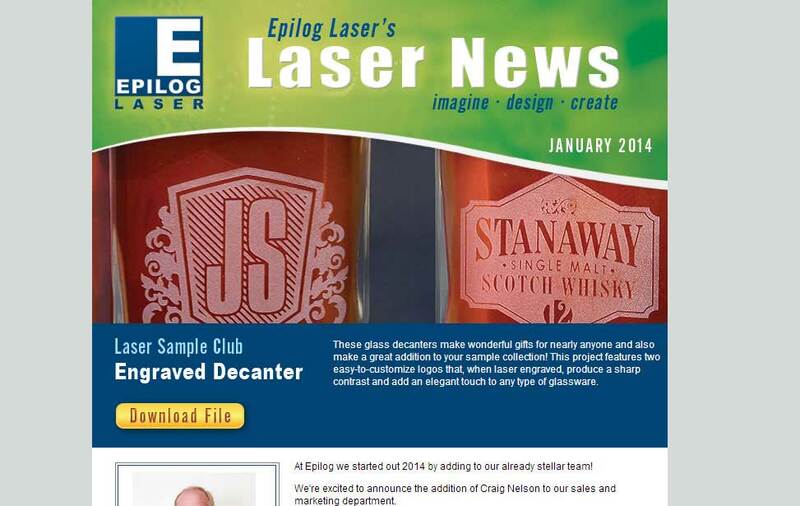 Fill out our request form and we'll send you a brochure with laser engraved samples and more. Please send me information on creating UID labels with the laser.